"Disraeli" and "Lord Beaconsfield" redirect here. For other uses, see Disraeli (disambiguation). For the title, see Earl of Beaconsfield. 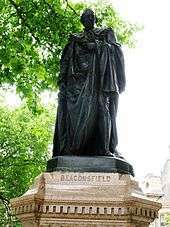 Benjamin Disraeli, 1st Earl of Beaconsfield, KG, PC, FRS (21 December 1804 – 19 April 1881) was a British politician and writer who twice served as Prime Minister of the United Kingdom. He played a central role in the creation of the modern Conservative Party, defining its policies and its broad outreach. Disraeli is remembered for his influential voice in world affairs, his political battles with the Liberal Party leader William Ewart Gladstone, and his one-nation conservatism or "Tory democracy". He made the Conservatives the party most identified with the glory and power of the British Empire. He is the only British Prime Minister of Jewish birth. Disraeli was born in London. His father left Judaism after a dispute at his synagogue; young Benjamin became an Anglican at the age of 12. After several unsuccessful attempts, Disraeli entered the House of Commons in 1837. 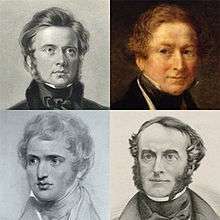 In 1846 the Prime Minister, Sir Robert Peel split the party over his proposal to repeal the Corn Laws, which involved ending the tariff on imported grain. Disraeli clashed with Peel in the Commons. 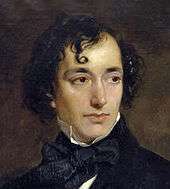 Disraeli became a major figure in the party. When Lord Derby, the party leader, thrice formed governments in the 1850s and 1860s, Disraeli served as Chancellor of the Exchequer and Leader of the House of Commons. He also forged a bitter rivalry with Gladstone of the Liberal Party. Upon Derby's retirement in 1868, Disraeli became Prime Minister briefly before losing that year's election. He returned to opposition, before leading the party to a majority in the 1874 election. He maintained a close friendship with Queen Victoria, who in 1876 created him Earl of Beaconsfield. Disraeli's second term was dominated by the Eastern Question—the slow decay of the Ottoman Empire and the desire of other European powers, such as Russia, to gain at its expense. Disraeli arranged for the British to purchase a major interest in the Suez Canal Company (in Ottoman-controlled Egypt). 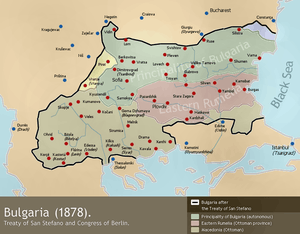 In 1878, faced with Russian victories against the Ottomans, he worked at the Congress of Berlin to obtain peace in the Balkans at terms favourable to Britain and unfavourable to Russia, its longstanding enemy. This diplomatic victory over Russia established Disraeli as one of Europe's leading statesmen. World events thereafter moved against the Conservatives. Controversial wars in Afghanistan and South Africa undermined his public support. He angered British farmers by refusing to reinstitute the Corn Laws in response to poor harvests and cheap imported grain. With Gladstone conducting a massive speaking campaign, his Liberals bested Disraeli's Conservatives in the 1880 election. In his final months, Disraeli led the Conservatives in opposition. 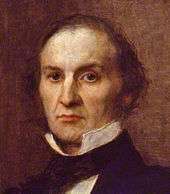 He had throughout his career written novels, beginning in 1826, and he published his last completed novel, Endymion, shortly before he died at the age of 76. 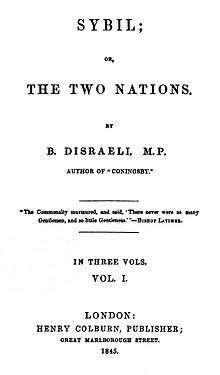 Disraeli was born on 21 December 1804 at 6 King's Road, Bedford Row, Bloomsbury, London,[n 1] the second child and eldest son of Isaac D'Israeli, a literary critic and historian, and Maria (Miriam), née Basevi. The family was of Sephardic Jewish Italian mercantile background. All Disraeli's grandparents and great grandparents were born in Italy; Isaac's father, Benjamin, moved to England from Venice in 1748. Disraeli later romanticised his origins, claiming that his father's family was of grand Spanish and Venetian descent; in fact Isaac's family was of no great distinction, but on Disraeli's mother's side, in which he took no interest, there were some highly distinguished forebears. 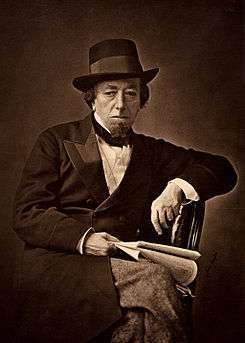 [n 2] Historians differ on Disraeli's motives for rewriting his family history: Bernard Glassman argues that it was intended to give him status comparable to that of England's ruling élite; Sarah Bradford believes "his dislike of the commonplace would not allow him to accept the facts of his birth as being as middle class and undramatic as they really were". 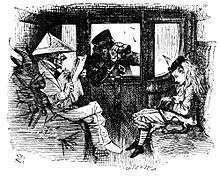 The bursting of the mining bubble was ruinous for Disraeli. By June 1825 he and his business partners had lost £7,000. Disraeli could not pay off the last of his debts from this debacle until 1849. He turned to writing, motivated partly by his desperate need for money, and partly by a wish for revenge on Murray and others by whom he felt slighted. There was a vogue for what was called "silver-fork fiction"—novels depicting aristocratic life, usually by anonymous authors, read avidly by the aspirational middle classes. Disraeli's first novel, Vivian Grey, published anonymously in four volumes in 1826–27, was a thinly veiled re-telling of the affair of The Representative. It sold well, but caused much offence in influential circles when the authorship was discovered. Disraeli, then just twenty-three, did not move in high society, as the numerous solecisms in his book made obvious. Reviewers were sharply critical on these grounds of both the author and the book. Furthermore, Murray and Lockhart, men of great influence in literary circles, believed that Disraeli had caricatured them and abused their confidence—an accusation denied by the author but repeated by many of his biographers. In later editions Disraeli made many changes, softening his satire, but the damage to his reputation proved long-lasting. Disraeli's politics at the time were influenced both by his rebellious streak and by his desire to make his mark. At that time, the politics of the nation were dominated by members of the aristocracy, together with a few powerful commoners. 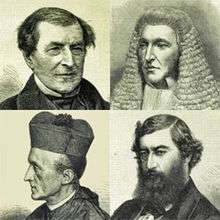 The Whigs derived from the coalition of lords who had forced through the Bill of Rights in 1689 and in some cases were their actual descendants, not merely spiritual. The Tories tended to support King and Church, and sought to thwart political change. 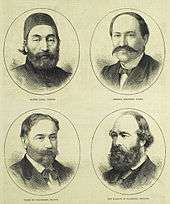 A small number of Radicals, generally from northern constituencies, were the strongest advocates of continuing reform. 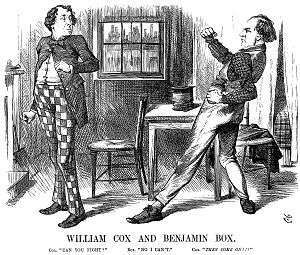 In the early 1830s the Tories and the interests they represented appeared to be a lost cause. The other great party, the Whigs, were anathema to Disraeli: "Toryism is worn out & I cannot condescend to be a Whig." There were two general elections in 1832; Disraeli unsuccessfully stood as a Radical at High Wycombe in each. 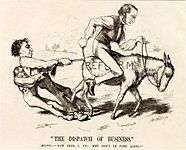 The first months of 1846 were dominated by a battle in Parliament between the free traders and the protectionists over the repeal of the Corn Laws, with the latter rallying around Disraeli and Lord George Bentinck. 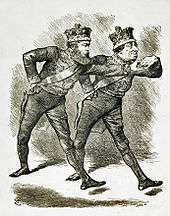 An alliance of free-trade Conservatives (the "Peelites"), Radicals, and Whigs carried repeal, and the Conservative Party split: the Peelites moved towards the Whigs, while a "new" Conservative Party formed around the protectionists, led by Disraeli, Bentinck, and Lord Stanley (later Lord Derby). Disraeli spoke in favour of the measure, arguing that Christianity was "completed Judaism", and asking the House of Commons "Where is your Christianity if you do not believe in their Judaism?" Russell and Disraeli's future rival Gladstone thought it brave of him to speak as he did; the speech was badly received by his own party. The Tories and the Anglican establishment were hostile to the bill. 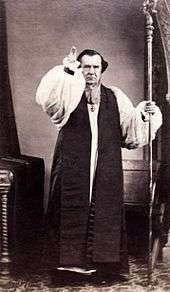 [n 16] Samuel Wilberforce, Bishop of Oxford, spoke strongly against the measure and implied that Russell was paying off the Jews for helping elect him. 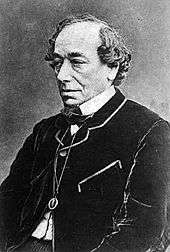 With the exception of Disraeli, every member of the future protectionist cabinet then in Parliament voted against the measure. One who was not yet an MP, Lord John Manners, stood against Rothschild when the latter re-submitted himself for election in 1849. Disraeli who had attended the Protectionists dinner at the Merchant Taylors Hall, joined Bentinck in speaking and voting for the bill, although his own speech was a standard one of toleration. The measure was voted down. During its brief life of just over a year, the Derby government proved moderately progressive. 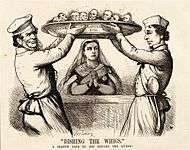 The Government of India Act 1858 ended the role of the East India Company in governing the subcontinent. Disraeli had supported efforts to allow Jews to sit in Parliament—the oaths required of new members could only be made in good faith by a Christian. Disraeli had a bill passed through the Commons allowing each house of Parliament to determine what oaths its members should take. This was grudgingly agreed to by the House of Lords, with a minority of Conservatives joining with the opposition to pass it. In 1858, Baron Lionel de Rothschild became the first MP to profess the Jewish faith. Although initially curious about Disraeli when he entered Parliament in 1837, Victoria came to detest him over his treatment of Peel. Over time, her dislike softened, especially as Disraeli took pains to cultivate her. He told Matthew Arnold, "Everybody likes flattery; and, when you come to royalty, you should lay it on with a trowel". 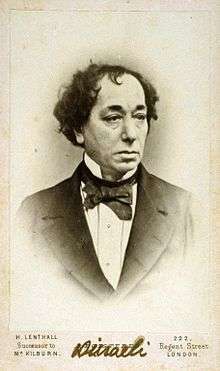 Disraeli's biographer, Adam Kirsch, suggests that Disraeli's obsequious treatment of his queen was part flattery, part belief that this was how a queen should be addressed by a loyal subject, and part awe that a middle-class man of Jewish birth should be the companion of a monarch. By the time of his second premiership, Disraeli had built a strong relationship with Victoria, probably closer to her than any of her Prime Ministers except her first, Lord Melbourne. When Disraeli returned as Prime Minister in 1874 and went to kiss hands, he did so literally, on one knee, and according to Richard Aldous on his book on the Disraeli/Gladstone rivalry, "for the next six years Victoria and Disraeli would exploit their closeness for mutual advantage." Suffering from asthma and gout, Disraeli went out as little as possible, fearing more serious episodes of illness. In March, he fell ill with bronchitis, and emerged from bed only for a meeting with Salisbury and other Conservative leaders on the 26th. As it became clear that this might be his final sickness, friends and opponents alike came to call. 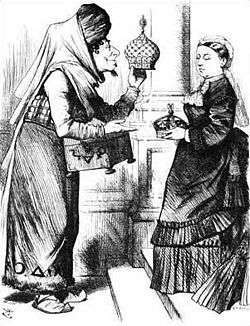 Disraeli declined a visit from the Queen, "She would only ask me to take a message to Albert." 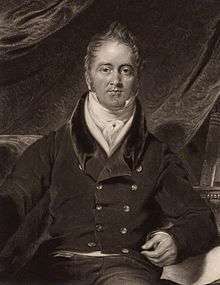 Almost blind, when he received the last letter from Victoria of which he was aware on 5 April, he held it momentarily, then had it read to him by Lord Barrington, a Privy Councillor. One card, signed "A Workman", delighted its recipient, "Don't die yet, we can't do without you." ↑ The street was renamed some time after 1824 as Theobald's Road; a commemorative plaque marks the current 22 Theobald's Road as Disraeli's birthplace. ↑ Disraeli's mother's ancestors included Isaac Aboab, the last Gaon of Castille, the Cardoso family (among whose members were Isaac Cardoso and Miguel Cardoso), the Rothschilds, and other prominent families; Disraeli was described in The Times as having "some of the best blood in Jewry". ↑ Monypenny gives his age as "six or earlier"; Parry concurs, giving his first year at Miss Roper's as 1810 or 1811; Hibbert and Ridley give his age unequivocally as six. Kuhn puts his starting age as early as four. ↑ Isaac was elected, without his consent, as Warden (parnas) of the synagogue. He refused the post, partly lest it interfere with his literary research, and partly because he was ideologically much more liberal than the ruling orthodox group. Under the synagogue's rules he became liable for a fine of £40 for declining to serve. He refused to pay. ↑ Breaking away from Judaism was not uncommon among well-off Sephardic families in the late Georgian period. ↑ Some people, notably Disraeli's opponents, continued to include the apostrophe when writing his name. Lord Lincoln referred to "D'Israeli" in a letter to Sir Robert Peel in 1846. Peel followed suit. The Times took several years before it dropped the apostrophe and used Disraeli's spelling. Even in the 1870s, towards the end of Disraeli's career, the practice continued. 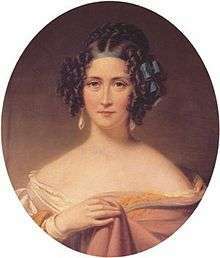 ↑ En route, the pair met Giovanni Battista Falcieri ("Tita"), Lord Byron's former manservant, who joined them and subsequently returned to England with Disraeli. ↑ After Meredith's death, Sarah Disraeli never married. She devoted the rest of her life to her family. ↑ At that time only about one in seven British men (and no women) were entitled to vote in elections. Those arguing for reform wanted rationalisation and liberalisation of the property-holding qualifications necessary to be a voter, and elimination of the most unrepresentative constituencies in which the local landowner heavily influenced the vote. 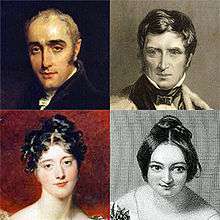 ↑ Blake comments, "the true relationship between the three cannot be determined with certainty" but he, like later biographers including Bradford and Parry, is in no doubt that Henrietta and Disraeli conducted an affair. Bradford refers to the couple's "reckless openness". ↑ The defiant closing words of his speech have been variously recorded. The Times's parliamentary reports were in the third person: its account is, "He would sit down now, but the time would come when they would hear him." Bradford gives his words as, "I sit down now, but the time must come when you will hear me." Blake has the words as, "I will sit down now, but the time will come when you will hear me." ↑ Blake records later speculation that Disraeli's exclusion was due to the scandal of his affair with Henrietta Sykes or to Lord Stanley's suspicion of him. Blake's view is that at this point in his career Disraeli was simply too junior and lacking in political clout to qualify for office. Peel had so many party grandees to accommodate that there was never any question of finding room for Disraeli. ↑ The term "Conservative" had been increasingly used since the early 1830s, and was actively promoted by the party in the 1837 elections. The two terms were used concurrently thereafter, but in the 1840s they were not always seen as interchangeable. 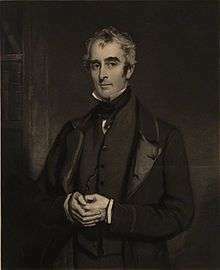 The historian Roy Douglas writes, "Perhaps the safest way to think about party origins is to consider that, around 1830, the Whig and Tory Parties both began to disintegrate, and it was not until the late 1860s that the Liberal and Conservative Parties had come into existence in a fully recognisable form." In the 1840s Disraeli applied the term "Conservatives" to the Peelites as opposed to the Tories from whom Peel had seceded. ↑ The specific occasion was the 1852 Budget. 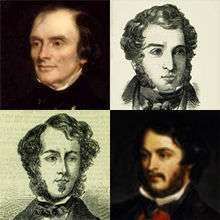 Disraeli seems to have held out the possibility that Bright, Richard Cobden and Thomas Milner Gibson might eventually join the cabinet in exchange for the support of the Radicals. ↑ According to some modern historians, Peel recognised the inevitability of free trade and used the alleviation of the Irish famine as a convenient pretext for moving away from protectionism despite strong opposition from within his party. ↑ Of the 26 Anglican bishops and archbishops who sat in the House of Lords, 23 voted on the measure and 17 were opposed. ↑ Lord Ellenborough, the President of the Board of Control had resigned amid a political crisis about his supervision of the governing of India. ↑ Gladstone caused great surprise by this move; he transferred the incumbent Chancellor, Robert Lowe, to the Home Office. Lord Ripon left the cabinet, making way as Lord President of the Council for Henry Bruce, moved from the Home Office. 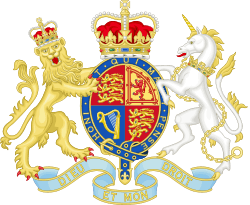 ↑ For the first time, the title of Britain's lead signatory was given as "Prime Minister": Disraeli signed as "First Lord of the Treasury and Prime Minister of her Britannic Majesty". ↑ Disraeli was probably trying to evoke the unfortunate words of Russell before the Crimean War, "If peace cannot be maintained with honour, it is no longer peace." Disraeli's words would be recalled by later Prime Minister Neville Chamberlain in 1938, saying that it was the second time a Prime Minister had returned from Germany bearing peace with honour, before declaring "peace for our time". ↑ Variously translated, but literally "The old Jew, this is the man!" ↑ Party labels being less precise in the nineteenth century than latterly, accounts vary of the number of seats won. Of the 652 Commons seats, Blake gives the distribution as 353 (Liberals), 238 (Conservatives) and 61 (Home Rulers); Bradford gives the figures as 353, 237 and 62; Aldous gives 347, 240 and 65. ↑ According to Disraeli's biographer Stanley Weintraub, rumours about his last hours included that he may have summoned a Jesuit to receive him into the Catholic Church on his deathbed, or that Disraeli may have grasped his friend Sir Philip Rose's hand and mumbled, "There is—one God—of Israel! ", which the biographer identifies as a version of the Shema, the Jewish declaration of faith in a unitary god. "More likely", Weintraub concludes, "Disraeli died as he had lived, a confirmed skeptic in the tradition of his father." ↑ James D Merritt advanced an alternative theory in 1968, proposing Thomas Carlyle as Disraeli's target. ↑ Monypenny and Buckle, p. 236. ↑ Blake (1967), p. 85. ↑ Blake (1967), p. 197 quoting Coningsby, Book II chapter 5. ↑ Hansard, 3rd Series, xcv, 1321–1330, 16 December 1847. ↑ Hansard, 3rd Series, xcviii, 1374–1378, 25 May 1848. ↑ Blake (1967), p. 461. Véliz, Claudio (November 1975). "Egana, Lambert, and the Chilean Mining Associations of 1825". The Hispanic American Historical Review. Duke University Press. 55 (4): 637–663. doi:10.2307/2511948. JSTOR 2511948. Vincent, John (ed.) (1978). Disraeli, Derby and the Conservative Party: Journals and memoirs of Edward Henry, Lord Stanley 1849-1869. Hassocks, Sussex. Booknotes interview with Stanley Weintraub on Disraeli: A Biography, 6 February 1994.